RIMC is known as Rashtriya Indian military college.The Rashtriya Indian Military College (RIMC), Dehradun is an Inter-Services Organization and a Category ‘A’ established of the Ministry of Defense. The College was established in 1992 with the primary aim of preparing the boys for entry into Defense Services and to provide quality all-round education to young boys for RIMC Online Test. 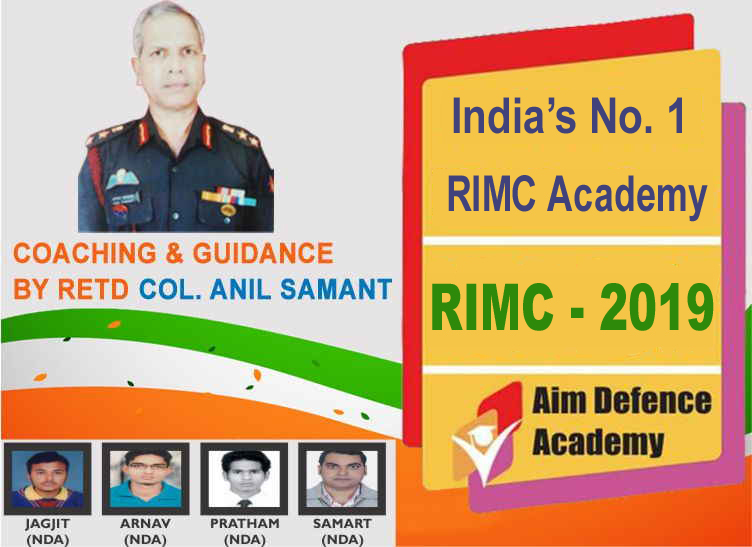 The purpose of Aim Achiever Academy is to provide Indian boys with suitable education and training for RIMC Online Coaching to ensure a high pass-rate for the Indians being sent to the Royal Military College, as part of the Indian program of the officer cadre of the Indian Army. 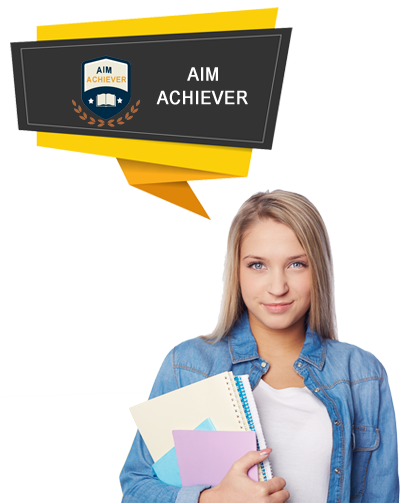 Aim Achiever is the best foundation in Chandigarh for RIMC Online Training. And famous for the RIMC COACHING IN INDIA. 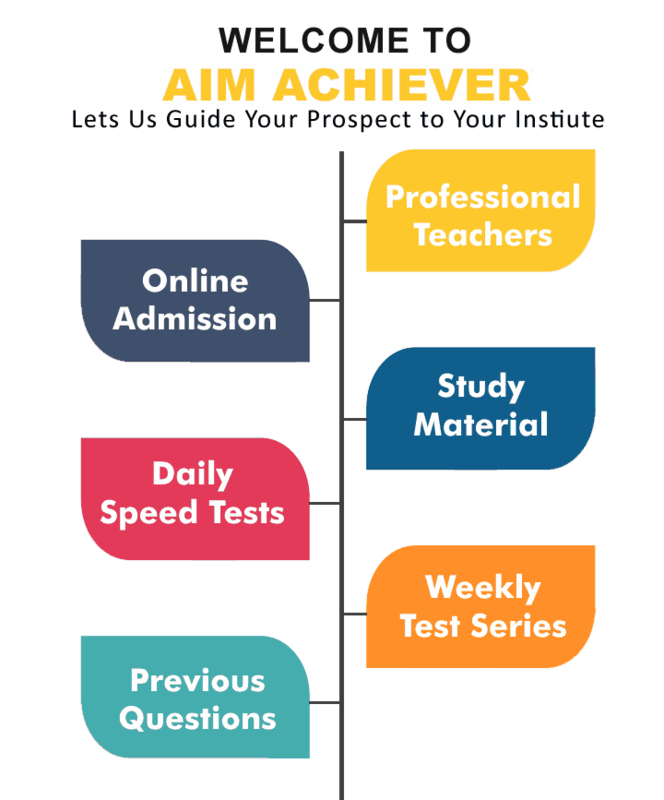 Aim Achiever institute in Chandigarh was set up with the target of granting quality instruction to the understudies of different Entrance examinations Chandigarh, Rashtriya Indian Military College (RIMC) placement test training in Chandigarh, (Rashtriya Military School) RMS Entrance Exam training in Chandigarh from April – June and in October to December. Just 15 understudies for every group is permitted. Aim Achiever is one of the best Coaching institute running from last 14 years. As its name also suggest that they help their students to achieve their goal in their life. This institute is well-certified institute where the quality assured coaching is provided to all of their students. They have emerged as one of the top quality entrance exam coaching provider.This academy is providing RIMC Coaching In Chandigarh. our academy also provides their students RIMC online study material. Qualification:-The candidates should be studying minimum in class 7th from a recognized school at the time of admission to the RIMC . The candidate should also be medically fit for entry in the college. Age: -The admission to the college is in January and July each year. Candidates should not be less than eleven and half year but must not have the age of 13 years on 1 January and 1 July of the term they join. RIMC SYLLABUS:- The RIMC study material includes the following subjects. A. Written Examination:- The written part of the examination consists of three subjects i.e English (125 Marks), Mathematics (200 Marks), and General Knowledge (75 marks). Maths and General knowledge Papers may be answered either in Hindi and in English. To qualify, a candidate must obtain a minimum of 50 % Marks in each subject. B. Viva Voce:- The oral examination consists of a Viva Voce test of 50 marks, which is designed to assess a candidate’s intelligence, personality, and confidence. The Minimum passing marks will be 50%. C. Medical Examination:- All the candidates qualified after the interview will undergo a medical examination at selected Military Hospital and only those Candidate found Medically fit will be considered for selection and admission to the RIMC. Medical Examination of the Candidate forms only a part of the System of selection and does not imply the Final Selection. ** The First Thing you have to get complete details about Important topics and syllabus for RIMC Entrance Test. ** For better preparation you have to solve the Last year papers of RIMC examination or you can buy RIMC BOOK for the Preparation OF examination. ** You should study regular and give at least 8 to 10n hours per day for RIMC Preparation. ** Also Make notes on every subject . Fee:- The booklet for the RIMC entrance examination with the sample question papers is available at a payment of 550/- by the demand draft to send in the favor of the commandant, RIMC Dehradun. Aim Achiever Academy is the Best RIMC Coaching Classes in Chandigarh. We give propel level of concentrate material and set up our understudies at a more elevated amount. The RIMC mentor in Chandigarh is the most ideal approach to join the RIMC Coaching.The Aim Achiever Academy Provide RIMS Coaching in Chandigarh, RIMS Coaching in Delhi, RIMS Coaching in Dehradun, RIMC Online Coaching, gets ready both physically and rationally understudies for training. Staff of Aim Achiever Academy gets ready understudies as per their capacity and all notes, RIMC Mock Test, RIMC Online Test, RIMC Last Year Paper, RIMC Online Classes which are straightforward and simple to learn.Classes are given under the Retired Army Officer, which is extremely helpful for the possibility for RIMC Entrance Exam Coaching in Chandigarh .